The shortcut keyboard for Adobe Photoshop CC makes controlling the Photoshop CC with the keyboard instead of the mouse a lot simpler and faster. 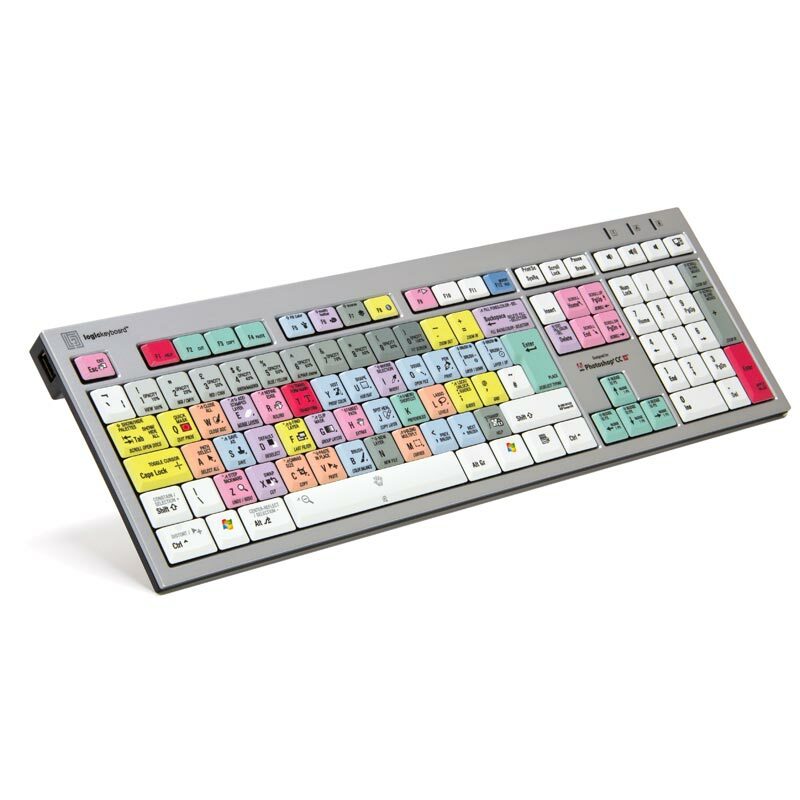 It is ideal for creative media production facilities, professionals and anyone else requires the Photoshop CC shortcuts to be readily accessible from a dedicated, clearly labeled, colour coded keyboard. The keyboard is also a great way to learn Photoshop CC and its key commands. The keyboard itself is a stylish low profile, with a state-of-the-art scissor switch mechanism providing the ultimate comfort and responsiveness in typing. The keys have a large surface allowing low noise typing. It features two USB ports on each side of the keyboard and plug-and-play into any USB-equipped Windows PC.